After a year hiatus, we’re so excited to relaunch our monthly drag queen photo series, Painted for Filth! Every month, we will be featuring the most popular drag makeup and fashion looks from the @dragaholic Instagram account. Below, check out the top 10 looks that were featured in July, and then leave a comment letting us know which one is your favorite. 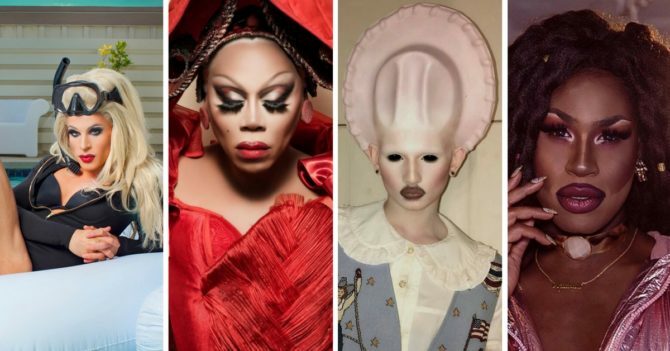 There needs to be a word other than drag to describe some of these looks. It’s more performance art than drag. But that’s just me. I’m old fashioned. Amazing, creative and beautiful, all of them…..
because they are a lot at the internet.